Brrrrrrrrr. It is cold! I believe it is important to let you all know that the GECDSB has an extreme weather guideline for all schools and Principals to use when considering exposure to extreme weather conditions. As the Principal it is my responsibility to check weather when needed to determine the appropriateness for children’s outdoor fitness breaks. The results of knowing the temperature, windchill, humidex and weather condition could result in many decisions from cancelling recess to shortening recess to allowing recess to exist status quo. As the Principal of Eastwood I check the weather measurements regularly on our government weather channel, I use a weather radio, I call neighbouring schools and I use good judgement (as a parent and Principal) to make decisions about outdoor play. If you have any questions for me regarding the guidelines we use for weather conditions please do not hesitate to call me. I would be happy to share them with you. Thanks for your concern regarding the cold temperatures we have been experiencing this week. I am glad to hear you are using AM800 to keep up to date on the messages they are sending regarding our schools. I appreciate your diligence and concern for the students and staff at Eastwood. 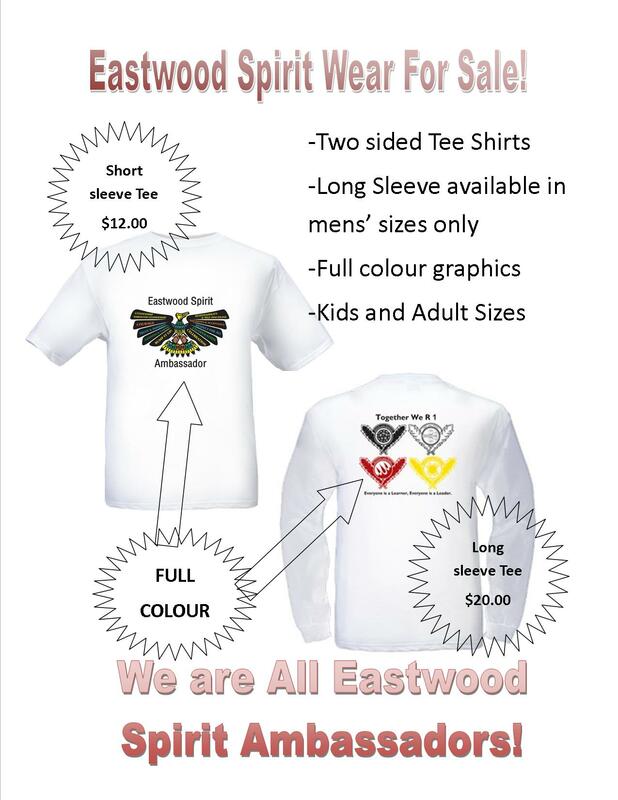 Eastwood Spirit Wear is Available! 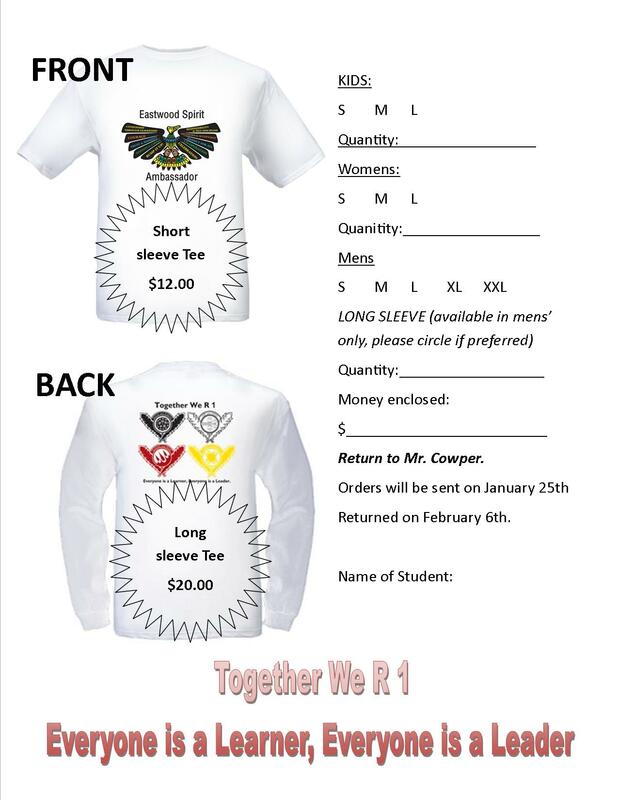 Posted on January 17, 2013 by Cowpernicus | Comments Off on Eastwood Spirit Wear is Available! Comments Off on Eastwood Spirit Wear is Available! closed to students and transportation for those students will be cancelled on Friday. Regular classes and transportation will resume on Monday, January 14, 2013.
operate. There may be pickets at schools. of Ontario and the provincial government is causing. If you have any questions or concerns please contact the Principal of your child’s school. This email and any attachments may contain confidential and privileged information. If you are not the intended recipient, please notify the sender immediately by return email, delete this email and destroy any copies. Any dissemination or use of this information by a person other than the intended recipient is unauthorized and may be illegal. Unless otherwise stated, opinions expressed in this email are those of the author and are not endorsed by the author’s employer.